President Adams understood the importance of public education. He understood that public education needs to be accessible for all, and that it needs to be well-funded by PUBLIC (read tax here) dollars. He understood that it is the responsibility of “the whole people” to provide that education. And finally, he understood that an educated population is good for all. I do however take one exception to his statement. Public education is not an expense; it is an investment. It’s the best investment a society can make to ensure their survival. Because public education affects you and your family whether you have kids in school or not. The success or failure of our public education system effects every one of us. In study after study, we find that lack of education has been tied closely to crime rates, domestic abuse, teen pregnancy, drug abuse, and unemployment. But you don’t need a study to know that to be the case. It’s common sense! People who do not have the education to get a job that is able to sustain themselves or their family, will be more likely to turn to some sort of crime. And that crime lifestyle will cost us in so many ways like personal loss by innocent people, increased police cost, higher public assistance cost, and the cost of incarceration. From a pure economic point, investments in public education are investments in our local economy. Teachers, maintenance people, clerical staff, bus drivers, and more come from the local economy, are paid by education dollars, and then spend those dollars in the local community. Schools and school districts spend their money in the local areas by purchasing goods and hiring services from the local area. As an example, my school district, Lodi Unified, has an annual budget of about $350 million. We are the largest employer in the area, and about 80% of our money goes back out to the local community in the form of wages and benefits. That money goes to over 3,000 employees in our area. Employees that in turn purchase homes and cars on the local economy. They go out to dinner and support many of our local businesses. That vast majority of our budget stays local to help support our community. With the remaining 20%, we purchase a variety services, mostly from our local vendors such as maintenance items, food supplies, school and office supplies, and much more. Money invested in Public Education not only goes to the education of our children, but it also goes back to the local community in the form of jobs. There is no doubt about it; Public Education is an economic force for our local communities. But Public Education is so much more than just economic. 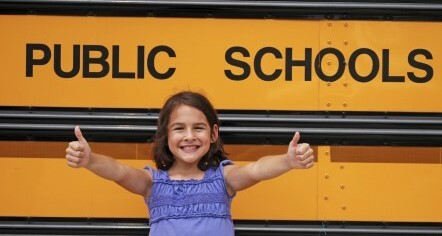 Public Education serves a vital role in shaping the character of the area it serves. For example, we know that students that do well in school are far less likely to become involved with gangs or other violent activities. We know that kids that do well in school are less likely to become involved in drugs. We know that educated students are less likely to be a burden to our local families and our entire community. We know that those kids see a future and have goals to succeed. Spending on education and spending on the justice system have an inverse relationship. The less you spend on Public Education, the more you will spend on police and prisons, and the inverse is true as well. That’s just the way it is. The lack of a successful education program is a drag on our society and decreases our financial resources. A successful education program can fuel growth in our society and present new opportunities. It’s that simple.